Rhinoplasty surgery cannot be approached in the same way for every patient and still yield excellent results. Among the many factors to consider is the patient’s ethnicity, as each ethnicity has unique nasal features as well as challenges that require a different technique. This type of ethnic nose reshaping is designed to consider these characteristics and concerns to offer the best results to the patient. Facial plastic surgeon Dr. Miller frequently consults with patients who are concerned they will lose their ethnic identity through a nose job and get a final result that appears “too Caucasian.” Dr. Miller uses specialized techniques to give patients a personalized approach that suits the unique features of their nose. 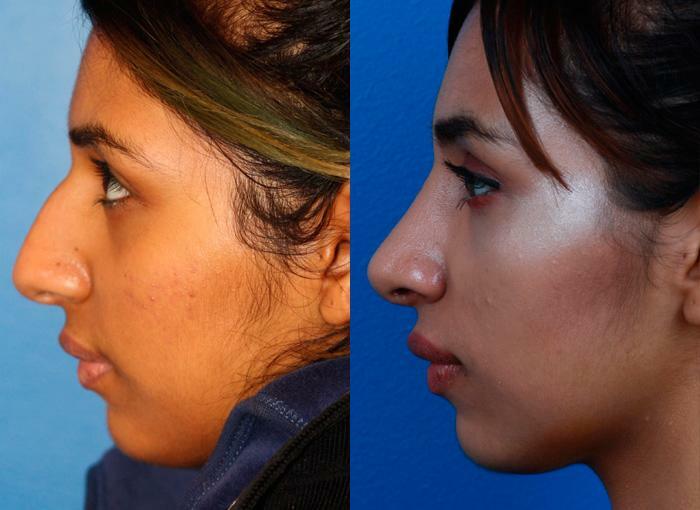 Dr. Miller uses his own specialized techniques for the Indian “nose job” to achieve the results patients desire without impacting ethnic identity to create a nose that matches the patient’s facial characteristics. Dr. Miller creates a customized treatment plan for each patient that blends change with preservation for the best possible results from surgery. Begin your search for a qualified facial plastic surgeon in New York City by examining each candidate’s experience with this procedure. Because nasal surgery is the most complex cosmetic surgery procedure, you want a surgeon who is very experienced and credentialed with extensive experience performing specialized techniques and an understanding of the unique characteristics of the Indian nose. It is especially helpful to view the surgeon’s before and after portfolio, which should showcase the surgeon’s skills and expertise, as well as past results with patients of Indian descent. Ideal candidates for this procedure are at least in their teens, non-smokers and in good physical health. Men and women of Indian descent who are concerned about the appearance of their nose may be good candidates. The best way to determine if you are a good candidate is to schedule a consultation with a qualified facial plastic surgeon like Dr. Miller, who will perform a full analysis of your nose and medical history and create a customized treatment plan. Learn more about Indian nose reshaping by contacting our office and scheduling a consultation with Dr. Miller. Fill out our contact form on this page or contact us at (646) 791-3025. A Patient Advisor will answer your questions and help you get started! Next, learn about Persian rhinoplasty.